Embark on an exhilarating adventure into Chile's beautiful lake and volcano district. This tour features challenging bike rides and hikes through the breathtaking landscapes of Chile's famed lake and volcano district. 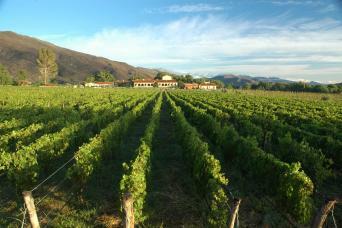 All the while, you will sample some of Chile's finest wines and local foods. Highlights along the way include Villarrica National Park, Pichillancahue Glacier, Huilo-Huilo Biological Reserve, the 7-Lake Route, Lake Ranco and the German Settler's Route. While some of the bike rides and hikes may be challenging, you will be able to rest and recharge in natural hot springs along the way. This tour provides a great balance for those who like to play hard and savor the relaxation afterwards. Upon arrival at Temuco Airport, you'll find a friendly driver waiting to take you to the Dreams Araucania Hotel (30-minute drive.) Check into the hotel, relax and get out to explore this vibrant city as your introduction to Chile. Your hotel is located in a great area with lots of restaurants, nightlife and shopping. Casino, spa, convention hotel. Alternative hotels possible. 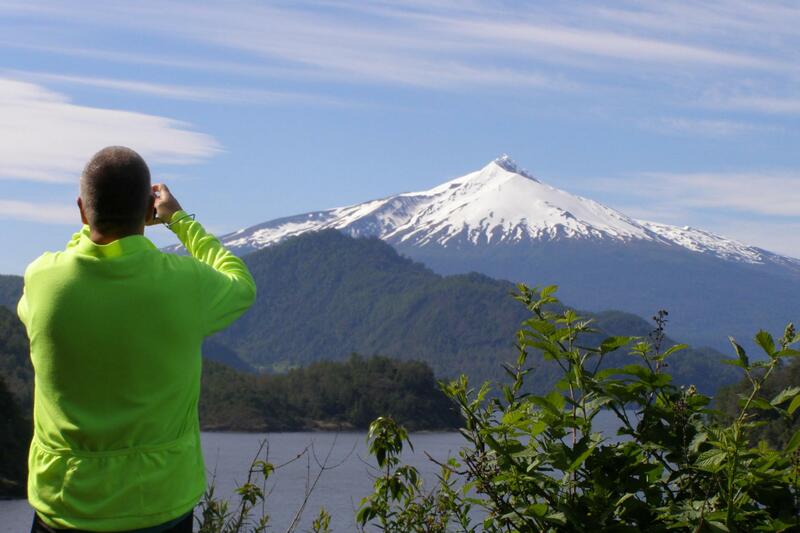 Enjoy a leisurely morning before a 10:30am transfer to Pucón, the adventure hub of Chile. After checking into your hotel and having lunch, your guides will assist you with bike fitting before a 16-mile warm-up ride towards Lake Caburgua. In the evening, we’ll have an orientation and briefing session before our welcome dinner together. 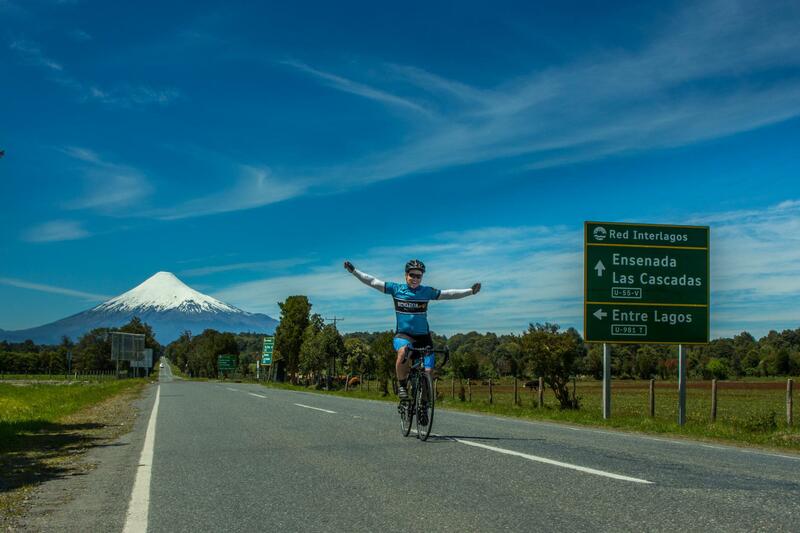 You will start the day with a bike ride from your hotel in Pucón toward Curarrehue, a small Mapuche village located near the Argentinian border. 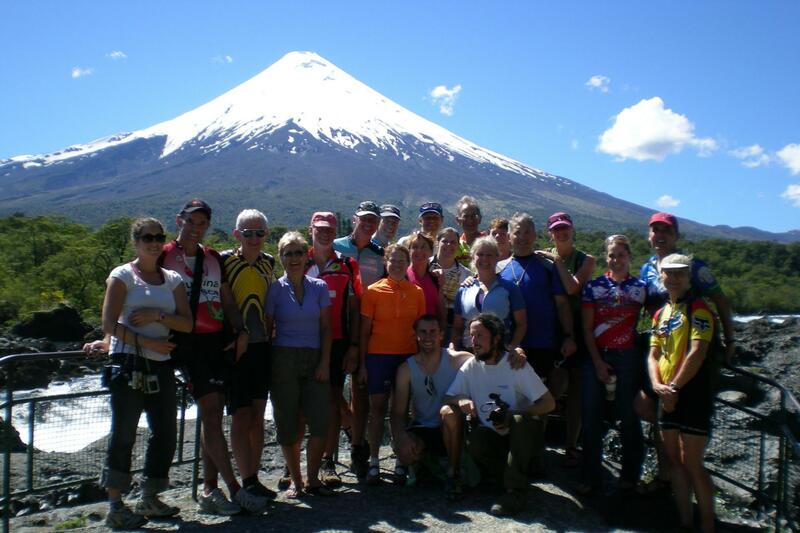 Today’s ride will follow the River Trancura, with views of three volcanoes: Villarrica, Quetrupillan, and Lanin. The first 45km of the ride is mostly flat with a few rolling hills. 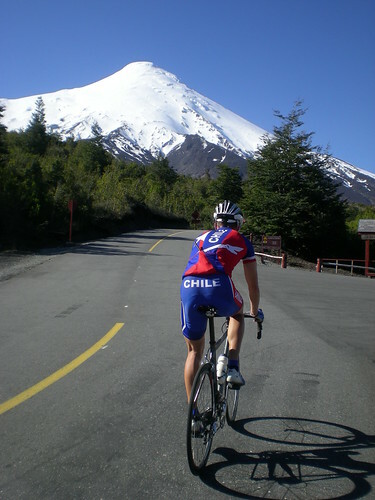 The ride can end here or you can take on a 30km climb, all the way through Villarrica National Park. At the top of the climb, you'll find yourself next to the mighty Lanin Volcano, the tallest mountain in the Lake and Volcano District. After the climb, enjoy a thrilling downhill ride all of the way to the Mapuche village. Return to your hotel in Pucón to clean up before a very special dinner with a Mapuche family. Today you will leave Pucón and take a break from the bike. After a van transfer to the National Park Villarrica, we arrive at the Pichi Llancahue Glacier Trail. Make sure your shoes are laced tightly, as you will hike to a phenomenal glacier, completely covered by the volcanic ash from the Villarrica Volcano. After hiking 30 minutes, you’ll enjoy the stunning views of four volcanoes: Lanin, Quetrupillán, Villarrica and Mocho-Choshuenco. The vegetation changes from raulí (Nothofagus alpina) and hualle forests (Nothofagus oblicua) to gigantic thousand-year old araucarias. 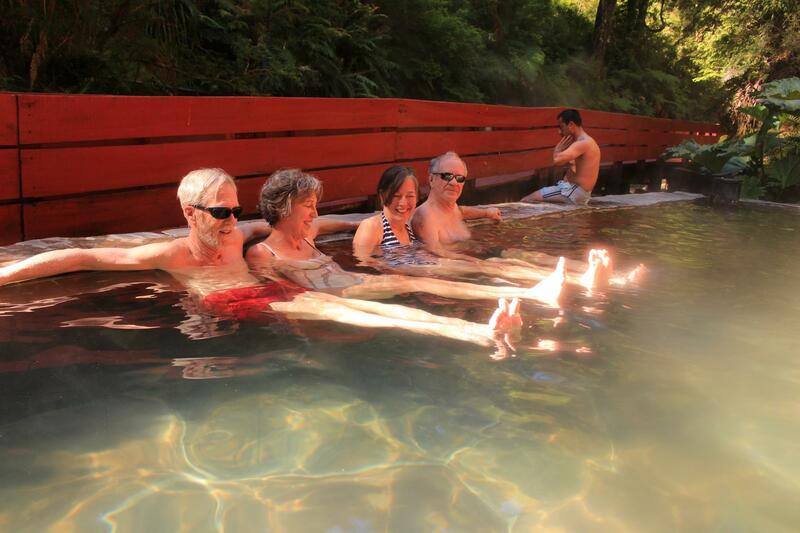 After the hike, relax your muscles at the Geometricas Hot Springs, which offers the perfect combination of thermal facilities and natural surroundings. Termas Geometricas has 16 strategically located thermal pools, ensuring that you will never feel overcrowded. As you relax in the hot springs, enjoy views of the vast landscape. Once you are rejuvenated, you will be transferred to the Huilo Huilo Biological Reserve, where you'll have a delicious dinner. Overnight at the incredible lake-front hotel Marina del Fuy. Today you will explore the extraordinary Huilo-Huilo Biological Reserve. Start the day with a whitewater rafting excursion down the clear, blue-green waters of the Fuy River. You'll raft the section called "bridge to bridge," which will take about an hour. The warm, clear waters come out of Lago Pirehueico, deep in the heart of Chile’s Lake District. The Fuy’s astonishing clarity is a sight to behold. With a dense canopy of coihue trees overhanging its banks, the river has an exotic, even ethereal, feel to it. The lower section is a 4km-long, mostly Class 3 "wave train." After rafting, you'll eat lunch at Peterman's, a local microbrewery. Next, you'll have the choice of a hike in the temperate rain forest or relaxing at the hotel and enjoying the lake views. The hike follows the Magnetic Stones Trail (3-hour hike, moderate difficulty.) The highlights of the hike include a botanical forest, scenic clear-water lagoons, mighty waterfalls, and amazing views of snow-capped volcanoes. If you would like to learn about the reserve’s plants and wildlife, there are nature walks that focus on botany, bird watching and geology, as well as flora and fauna interpretation. Later, you can relax at your lake-front hotel and then get ready for tonight’s dinner. On this tour, each day brings new beauty and today is no exception! You'll begin by cycling one of Chile's most scenic roads, The Seven Lakes Route. You will ride straight from the hotel alongside the shores of the Fuy River and the stunning Panguipulli Lake. 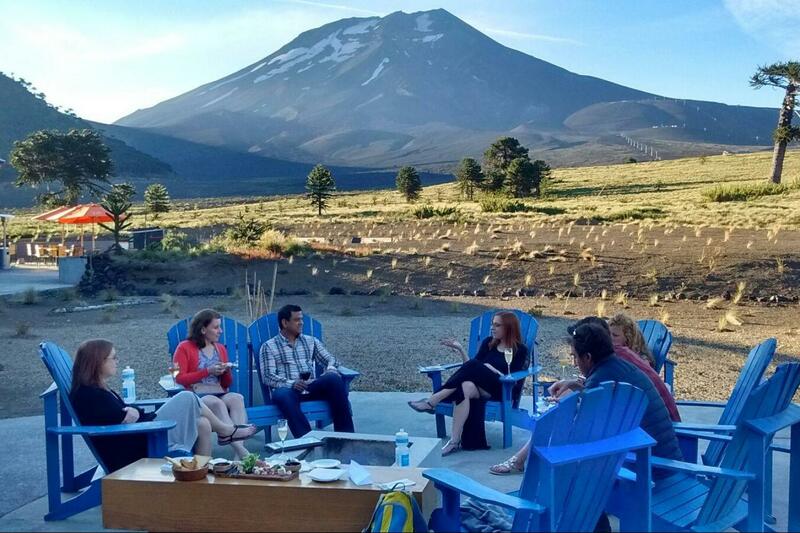 Be sure to take time to view the majestic, snow-capped volcanoes (five will be in view at one time!) The ride finishes on the beach of Lake Panguipulli, meaning “land of lions.” Enjoy the views of Chile's southern volcanoes while eating a fantastic lunch prepared by the local culinary academy. 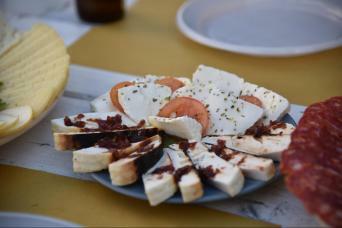 After lunch, you will be transferred to the lake-front hotel Bahia Coique in Lake Ranco. If you are a meat lover, prepare to enjoy the Angus beef from De Pellin y Coigue restaurant. After almost a week traveling in Chile’s Lake and Volcano District, you may have realized that you are following a scenic route called “Red Interlagos.” You will begin the day with a bike ride from the village around Lake Ranco, on a new section of the route. This fantastic lake is surrounded by mountains and green fields full of grazing cattle. 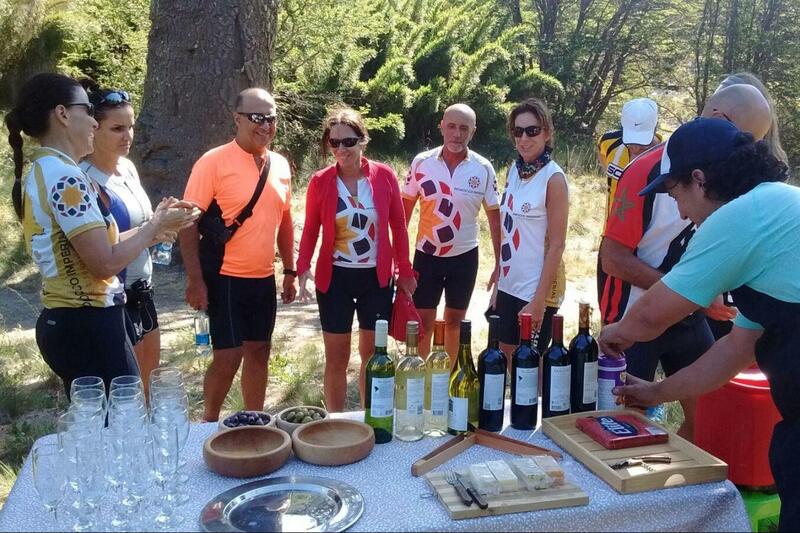 The ride will continue south, towards Termas de Llifen, where you will eat lunch, and then finish in the village of Lago Ranco, located in front of the lake. Tonight you will stay at a private reserve called Futague, located by Lake Ranco. Today starts with a transfer from your hotel in Futangue to Puerto Octay village, where today's bike ride begins. Here you will start your ride towards quaint villages with a strong German heritage. The route consists of rolling hills with some flat stretches, until you end the ride by the beach of Lake Llanquihue. Here, a unique landscape is waiting: the Osorno Volcano with its perfect cone. You will enjoy an incredible buffet lunch in a German-style, family-owned restaurant and then resume cycling towards the village of Frutillar, famous for the world-class classical concerts that take place in the Teatro del Lago. 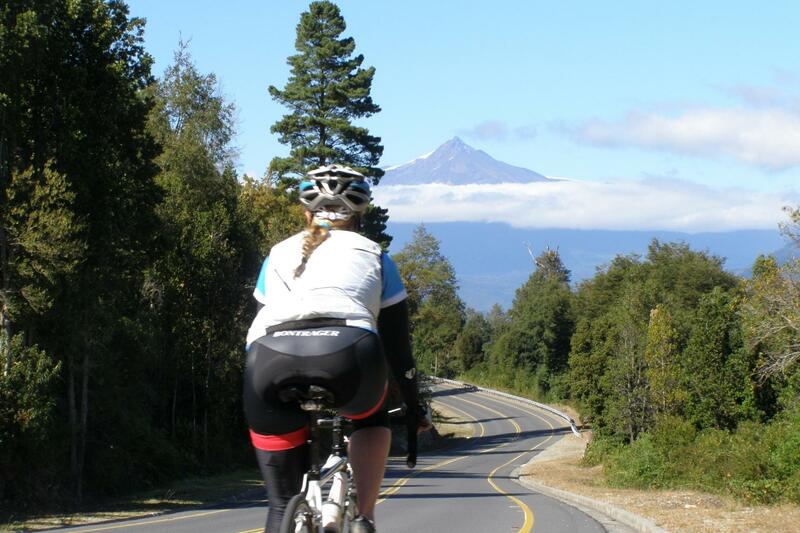 During this ride, you will have views of four volcanoes (Osorno, Puntiagudo, Casablanca and Puyehue.) With the lake on one side, green pastures and fields on the other, and the snow-capped Andes in the distance, this will be a highly picturesque day. You'll end the ride in the village of Llanquihue and enjoy a well-deserved local beer. After you have quenched your thirst, you'll be transferred to the five-star Cumbres Patagonicas hotel and spa in Puerto Varas. Tonight is the farewell dinner at a truly unique restaurant, where you will sample traditional Chilean dishes and flavors prepared in a tapas style with wine pairings. - Private airport shuttle from Temuco Airport to Dreams Hotel in Temuco City. - 8 nights' accommodation at 3 ✰, 4 ✰and 5 ✰ hotels, according to itinerary. - Meals as per itinerary (8 breakfasts, 01 box lunch, 06 lunches, and 07 dinners; on-route snacks include: mineral water, trail-mix, and fresh fruit). - Rafting Gear for Whitewater Rafting in Fuy River (helmet, life vest, raft and paddle, wetsuit, shoes, splash top). - All activities according to the itinerary. Private departures available: Contact us for dates and rates. 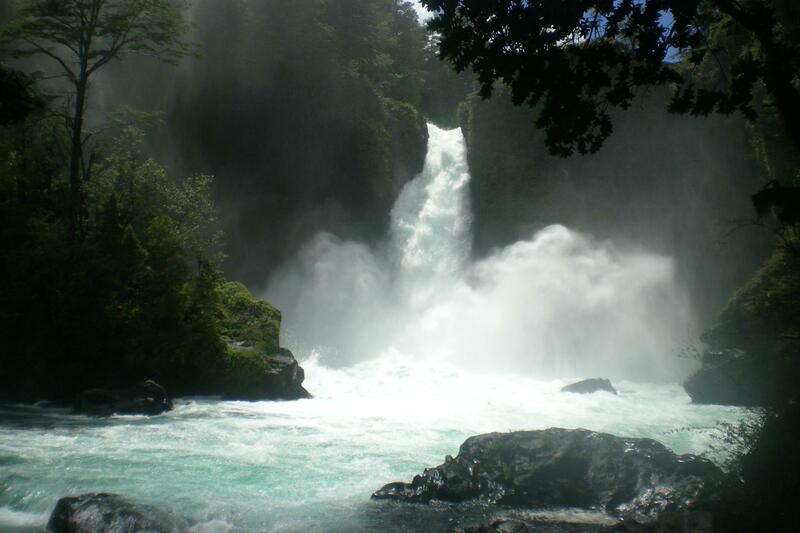 - Arrive in Santiago International then transfer to the domestic terminal and fly to Temuco. We recommend a day early to adjust and visit or add days at the end. 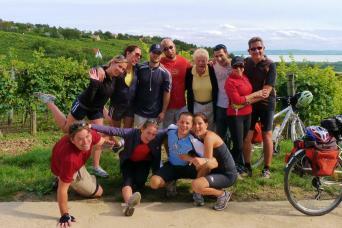 - Cycling, Hiking, and White water rafting! 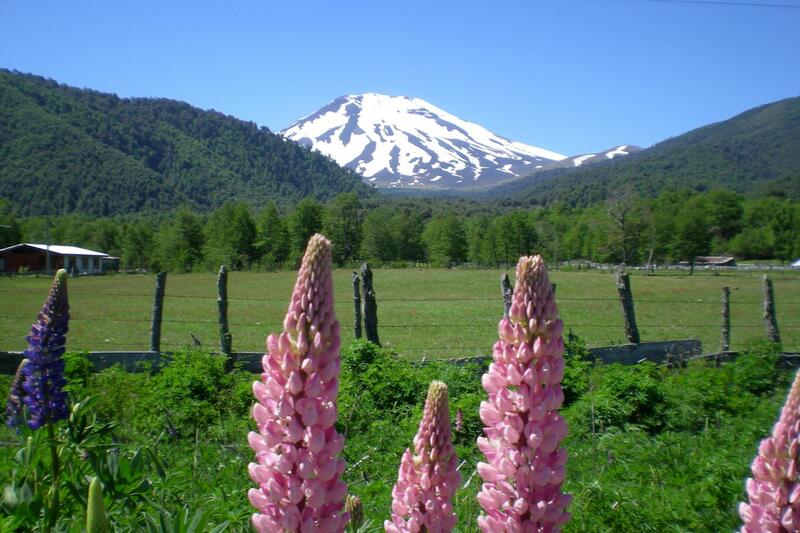 - Exploring the Lakes and Volcanoes Region of Chile - stunning landscapes and hot springs! Level: Level 3+ FIT; terrain is rolling; itinerary has short and long ride options. Arrival at Santiago. you can transfer directly to a flight to Temuco, or stop over in the capitol city. Ask us for information about visiting Santiago and booking extra nights. Juan Francisco: Juan Francisco was born and raised in Neltume, the closest village to Huilo-Huilo Biological Reserve. He loves adventure sports and he is a famous trail runner in Chile. He has Mapuche blood and knows all about our local history. Juan is also a professional adventure guide and a wilderness first responder. About our guides in Chile: We partner with the best guides who are experienced with English speaking travelers. All guides are professional with certifications and licenses and will look after every need you may have during your travels. Juan is just one of several guides that can lead our tours. This is a new for 2018! Included are: cyclometer (KM), handlebar bag, pump, 1-2 water bottle cage/s, water bottle, an under-seat pack that contains a spare tube, tire irons and patch kit. Caad8 alloy frame, optimized 6061 alloy; Fork Cannondale Ultra with carbon blades. Pedals & Helmets: We recommend you bring your own helmet; but rentals are available in limited numbers. Flat Wellgo pedals with toe clips come on the bike; but you may bring your own pedals and we'll install them. Our vans and sag wagons carry spare tires, and drivers can assist to fix the flat tires. All our staff is connected with radios, so assistance is quick and close. Hybrid bikes are available in limited sizes; these bikes don't have rear racks and panniers however as this is not necessary on our guided programs. Hybrid Bikes: Kona Dew: aluminum frame, Shimano Altus/Alivio component group with a 3x8 drive train.